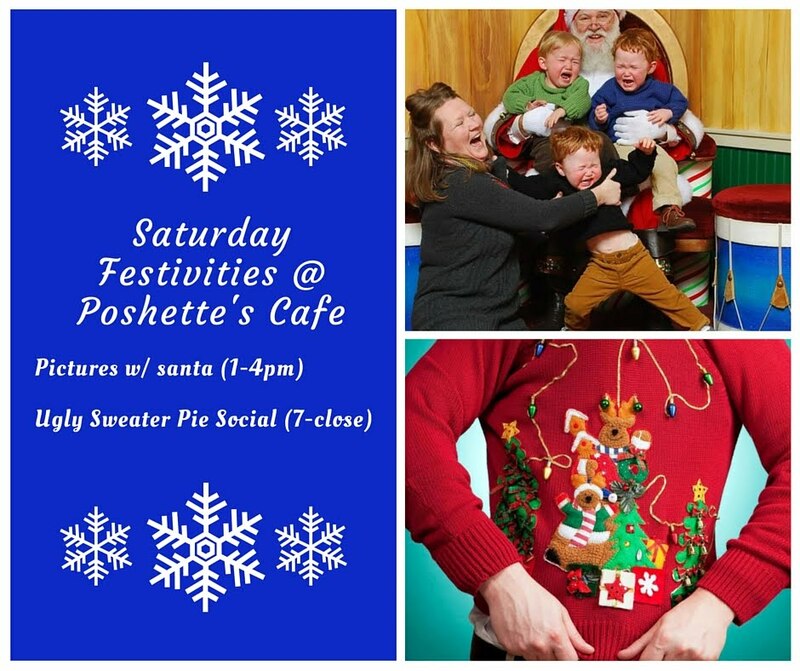 Join us at Poshette's Cafe, 7015 N. Greeley Ave., this Saturday for some neighborly holiday festivities! 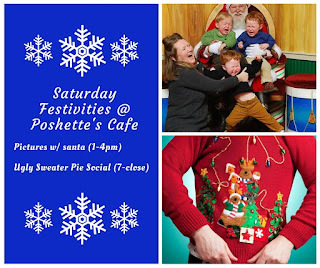 From 1-4PM, bring your wee ones (and inner-child) by for pictures with Santa. Photos are $7 in digital format. Event information on Facebook here. Stop by a little later (around 7) for an Ugly Sweater Pie Social with adult-only drinks and sweet treats. Event information on Facebook here.